It’s official, longtime Da Les and Glitz Gang collaborator and insanely talented producer has joined the company of Reason, Mr Perfecto, Zakii Ibrahim, Samthing Soweto, Nova and label boss Tumi Molekane at Motif Records. It will be interesting to witness the sound that will come from Riky under the mentorship of Tumi considering that, for most of his career, the 25 year old musician has been, musically speaking, a chameleon, [successfully] switching sounds accommodate the cadence of whichever artist of any genre he happened to be working with. We’re not worried though, Motif is yet to make a wrong move. 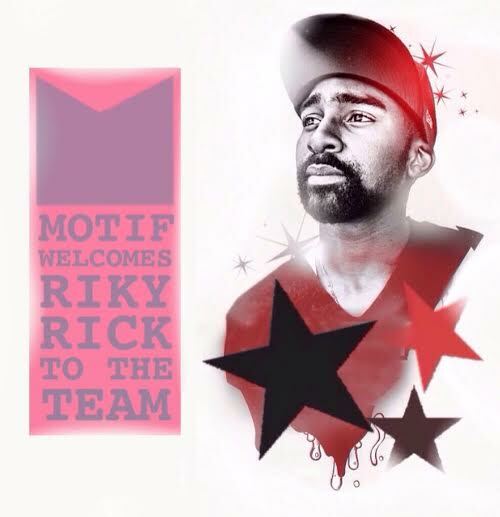 Congratulations to both Ricky and Motif, we look forward to that #work. Riky Rick and Okmalumkoolkat will be performing the smash record live for the first time at SWAY in Sandton tomorrow.